A German auction house on Thursday scrapped the planned sale of 26 artworks attributed to Adolf Hitler, after doubts emerged about their authenticity just days before they were due to go under the hammer. Five other paintings signed "A. Hitler", all of them watercolors, will still be auctioned off on Saturday as scheduled, according to the Weidler auction house in the southern city of Nuremberg. A vase, wicker armchair and table cloth presumed to have belonged to the late Nazi dictator also remain on offer in what Weidler has billed a "special auction". "Unfortunately we must inform you that some of the pictures have been dropped because of a review," the auction house said in a statement sent to the Spiegel news weekly. The move came after prosecutors on Wednesday collected 63 artworks from the Weidler premises bearing the signature "A.H." or "A. Hitler", over suspicions that the works were not created by Hitler himself. Twenty-six of the works had been advertised for Saturday's auction, consisting of watercolors, oil paintings and sketches. The Nuremberg-Fuerth prosecutor's office has opened an investigation against unknown persons "on suspicion of falsifying documents and attempted fraud," chief prosecutor Antje Gabriels-Gorsolke told AFP. Investigators will now examine the works to determine if they are fakes or originals. "If they turn out to be fakes, we will then try to determine who knew what in the chain of ownership," Gabriels-Gorsolke said. The auction house had cooperated fully and had handed over the works voluntarily, she added. Sales of alleged artworks by Hitler, who for a time tried to make a living as an artist in his native Austria, have long been controversial -- and have often proved to involve fakes. German police last month seized three watercolors presented as Hitler's works before they were due for auction in Berlin, claiming they were forged. The Alpine and Rhenish landscapes were dated 1910 and 1911 and were signed A. Hitler and offered by auction house Kloss. The five paintings remaining for Saturday's auction in Nuremberg are watercolors of landscapes, with one depicting a mountain lake view carrying the highest starting price at 45,000 euros ($51,000). Hitler tried to enrol in the Vienna Academy of Arts as a young man but was rejected for lack of talent. He continued painting, however, and copied landscapes from postcards which he sold to tourists. Hitler went on to head the Nazi party and became Germany's chancellor in 1933 before leading the country into World War II and seeking to exterminate Jews. He committed suicide on April 30, 1945, ending the Nazi reign of terror. 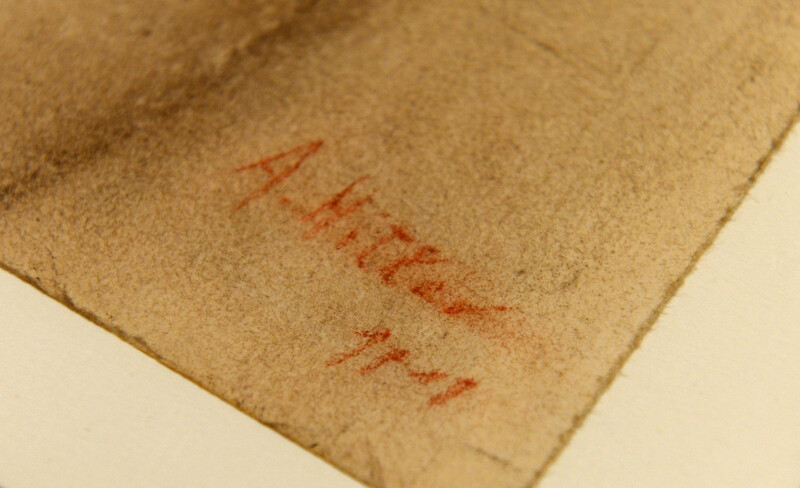 A 2015 auction of Hitler watercolors fetched nearly 400,000 euros ($452,000).